At Crucial Environmental we offer a specialist asbestos sampling service, testing any potential asbestos-containing materials that you have at either your residential home or working premises. If you have any reason to believe you might have asbestos on your site, our team can come and take samples that will then be analysed. Our service begins with a site visit where we will carry out a full inspection. We will then take a sample of the material which can then be sent off to a UKAS-accredited laboratory. The lab will analyse the sample to ascertain whether asbestos is present in the material and which type of asbestos it is. The results are ready within 24 to 36 hours of the sample being taken. We will then compile a report with photographic evidence along with the Certificate of Analysis from the lab. 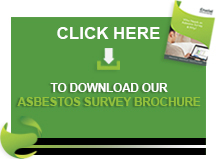 This report gives you full details on the asbestos. Crucial Environmental is one of the UK’s fastest growing asbestos specialists. From our base in West Sussex we carry out work throughout Sussex, Surrey, Hampshire and London. From our base in Nottinghamshire we also cover most of the Midlands and the North of England. We bring years of experience and professionalism to every job we work on. Once we have carried out the sampling for you we can offer a full range of additional services including asbestos removal. Our team would be happy to offer you any advice or guidance on the matter, so please contact us today if you have any issues regarding asbestos in your building. Where should I test for asbestos? Asbestos can be found in many places around residential homes and commercial premises. Some of the most common places to find asbestos include textured wall and ceiling coatings, floor and ceiling tiles, asbestos insulation, guttering and asbestos cement, which is often found in shed and garage roofs. To test for asbestos, we visit the site and examine the material. If we believe that it may contain asbestos we will take a sample which will be analysed in a UKAS-accredited laboratory. We usually expect the results within 36 hours of the sample being collected, but it may be possible to expedite the process if necessary. Identifying asbestos yourself is notoriously impossible unless you have specific training and access to testing facilities. Asbestos was commonly used throughout the UK before it was banned in 1999, so if your building was built before then it’s very possible that it contains asbestos. However, you cannot identify asbestos just by looking at it – many materials look similar, and asbestos can also be hidden within other materials such as concrete. The only way to know for sure if you’ve got asbestos is to have it sampled and tested by asbestos specialists. If you’re worried that you might have asbestos either in your home or businesses premises, the most important thing you need to do is have the material examined by professionals. In general, if the asbestos is in good condition it should not be a risk and as long as you are unlikely to damage or disturb the material. However, if the asbestos is in poor condition or could easily be damaged, it’s a good idea to get away from its proximity and call in the experts as soon as possible. If you’re concerned about asbestos-containing materials either in your business or home, please don’t hesitate to get in contact with Crucial Environmental today. You can call us on 01903 297818 or email info@crucial-enviro.co.uk and a member of the team will get back to you as soon as possible.